The OM9 Series has been discontinued. Please see the DRA-ACT-4 Series as a possible alternative or contact our Data Acquisition Engineering Department. The OM9 Series transducers convert ac currents and voltages to dc process signals for direct connection to data acquisition and recording systems. The OM9 employ true RMS measurement techniques in conditioning the ac signal. 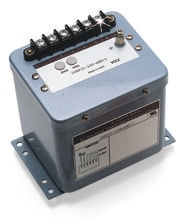 True RMS measurement provides accurate readings for signals which contain harmonic distortion. For measurement of currents and voltages greater than listed, the OM9 are directly compatible with OMEGA™ instrument transformers.